Please use the navigation bar above to find information about course events and scores, 5-Stand league, and the youth sporting clays team The Smokin' Guns. 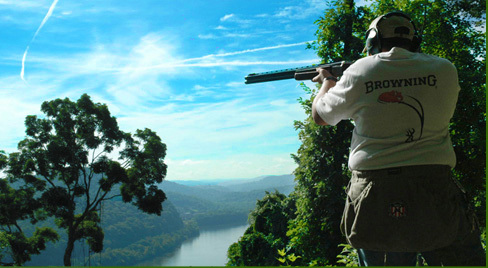 Situated above the Monongahela River, our 100-bird course is sure to test your shootings skills. With each station featuring its own distinct characteristics, you are sure to be challenged, and impressed with our unique course. We are open Every Sunday from 9:00 until 12:00, public is welcome. ©2013 California Hill Gun Club. All Rights Reserved.